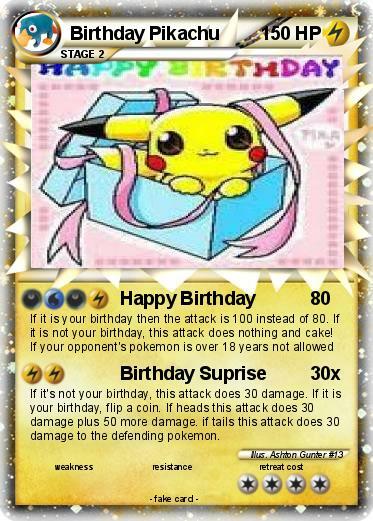 If it's not your birthday, this attack does 30 damage. If it is your birthday, flip a coin. If heads this attack does 30 damage plus 50 more damage. if tails this attack does 30 damage to the defending pokemon.